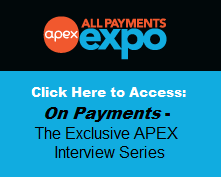 All Payments Expo Blog: Prepaid Expo USA: Register by Dec 3rd and save up to $600! 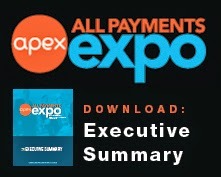 This year we have more Prepaid Professionals joining us then ever before – including more retailers than any other Prepaid conference-- attended in 2010, and we are on pace to beat all previous attendance records when Prepaid Expo returns to Orlando. That means more of your business partners, clients , prospects and colleagues are looking to get a leg up on the hot Prepaid industry. If you haven't yet already make sure to check out our agenda featuring sessions designed to help you achieve profitability and more customers, as well as all new Program Benefits including: Social Media Workshop that gives you a tutorial on integrating Facebook, Twitter and eGifting into your Prepaid program; a Closed-Loop Gift Card Mixer to help our gift card program managers meet each other; Test Drive an Expert private strategy meetings with leading consultants across the industry; and an exciting new Industry Night destination! Register today and reserve your place amongst the leaders in Prepaid. p.s. There are only 3 booths left in the Expo Hall. Raise your company profile by calling our Exhibition and Sponsorship team today!